《Really Really Free Christmas！》: Merry Christmas! Wish you a TWINKLING Christmas! Merry Christmas! Wish you a TWINKLING Christmas! Light Exchange Project: We collected old and worn out light bulbs from our neighbours and gave them new light bulbs in exchange. 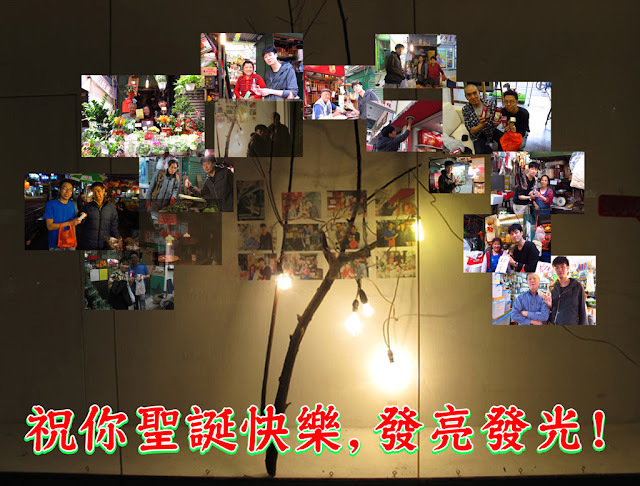 The light bulbs we've collected became decorations on our Christmas tree in our display window, dazzling Shanghai Street.